A group of metal tubes are welded together to create various compositions. 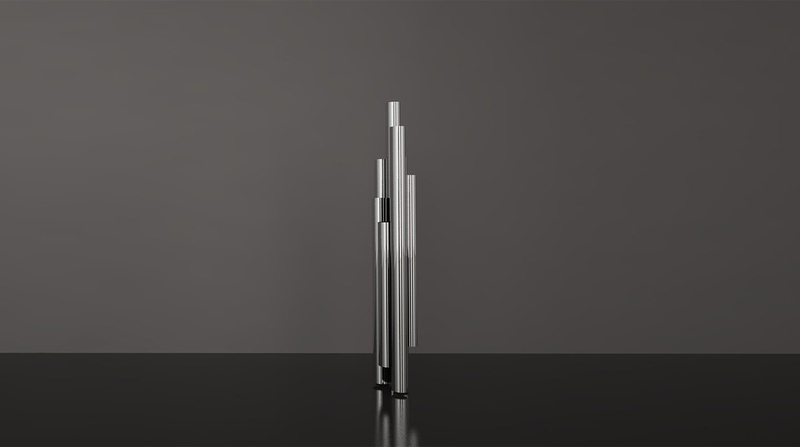 The varied heights of the tubes allow candles to be held and create an intimate atmosphere in any space. Various sizes are available to allow them to be use as floor or table standing.